I am not on vacation – god forbid that anyone should think that! I am, as it happens, fairly busy – but I will be back tomorrow and over the weekend.. I am getting blawgalgia – a rare medicial condition involving withdrawal symptoms from not being able to blawg. Today, in a bizarre twist of fate, a local cricket club umpire has been accused of tampering with the ball by The Chiswick Cricket Club (‘The CCC’). Fiction can be stranger than truth and at a time when the ICC is beset with problems over Umpire Hair’s decision in the 4th England v Pakistan cricket test match last week and subsequent demand from Hair of $500,000 to ‘go quietly’ – it is ironic that we should now hear of an umpire being accused of ball tampering. Apparently, Umpire Charon, who likes to smoke unleaded Silk Cut while umpiring, found that his matches would not strike on the matchbox. Calmly picking up the cricket ball at the end of an over, he attempted to strike the match on the worn side of the ball several times before the match would light. Fast bowler, James ‘Criminal’ Damage, then bowled a bowl at 93.6 mph which had a ‘reverse swing’ of four metres to the right; surprising the wicket keeper, who was not able to prevent the ball zipping to the boundary for four runs. A spokesman at The MCC said “The Laws of Cricket did not anticipate that an umpire might interfere with the ball, let alone use the ball to light a match so that he could smoke on the field. But it seems to us, after consulting the eminent QC, Sir John ‘Stumper’ Oval, that the words ‘It is unfair for anyone‘ and ‘take any action whatsoever which is likely to alter the condition of the ball’ are sufficiently wide to cover ball tampering by the umpire. Umpire Charon is no stranger to controversy. A year ago, while umpiring a match between The Acton Irregulars and The Bollo Ball Scuffers, he walked onto the pitch after lunch with a bottle of Rioja which he proceeded to ‘neck’ while play commenced and was heard several times to shout ‘Howzat!’ before the ball had even reached the batsman. It is, of course, the first verse of a poem by W H Auden made better known by Four Weddings and a Funeral – but appropriate given that law offices, chambers, training organisations, law schools are all closing for the last holiday weekend before Christmas. I am still at my post, but as you can see, I am not doing any sensible work. I am fiddling around on the net – it is, of course, too early to get my sabre out and cut the top of a bottle of rioja off – which is how I open bottles at the weekend. Insane Lawyer… or, as Sean Hocking of Practicesource.com and Tab”law”oid puts it…Why lawyers should not be allowed to advertise. This film is amazing. Jim “The Hammer” Shapiro may not be able to “rip out the heart of the person of the person who harmed you” but he will hunt them down and sue them for every dime they have on your behalf. Last week, I started my ‘Lobster Awards’ scheme. (Here) Jim “The Hammer” gets a Lobster Award (Third Class). I watched with increasing fascination. Maybe The College of Law and BPP et al should screen this film for their new litigation practice classes? Thanks for the link, Sean. This guy eats 30 pancakes a day and, clearly enjoys eating them. He has made a film of himself making pancakes, composed a song to go with the film and is now featured on Good Morning America, Number 3 in the Israeli charts and has had over 700,000 views of his video on YouTube. It is a most enjoyable video (the song is not quite my taste – not Verdi enough) and worth a look. No law in it, as far as I could see. Go and watch the Pancake video – well edited! and.. on that note I have to sabre the top off a bottle of Rioja soon and close the blawg for today. Have a good Bank holiday. According to the The Mirror – Essex Police are having problems with the locals who have risen in revolt at the proliferation of Speeding cameras. They have taken to ‘modifying’ the signs by taping over ‘Speed’ with ‘Greed’. Police have been told to ‘crack down’ hard on offenders – but so far the protesters have been too quick for the local traffic plod. I ride motorbikes. I don’t speed in country villages and it is almost impossible to speed in Central London with traffic congestion. I make no admission of guilt to any particular offence, but it can be safe, and a pleasure, to exceed the ‘national speed limit’ on occasion. There are far too many speed cameras on our roads – and to watch cars speed up to the camera and then slam the brakes on, can be quite a sobering sight! Sadly, Pluto and Charon, after being hailed the other day as binary planets, have now been downgraded to celestial bodies. Now 2,500 astronomers meeting in Prague have voted that Pluto (and, presumably, Charon also) should be redesignated as a “trans-Neptunian”, or dwarf planet. I do not possess a celestial body – I have a ‘two pack’ – the ‘six pack’ stomach is a thing of memory – but I think I would prefer to be a celestial body rather than a planet… and as for being ‘Trans-Neptunian’?…what can I say? Amazing that astronomers have so much time on their hands… but…what is time? He has received 73 comments already – some of them quite amusing. Don’t send shoplifters to jail! Apparently in Saudi Arabia, where they cut the hands off shoplifters, shoplifting is fairly rare. There is, of course, absolutely no truth in this news cutting, but the thought appealed to me as I wasted yet another few hours trying to speak to people on the phone. I fear that all are departing for the long weekend – heading, perhaps to the shires, the coast or even as far as Scotland. I will remain at my post in London but I am sure the opportunity will arise for some relaxation – perhaps a glass or two of Rioja and a chance to get off the world for a few days. 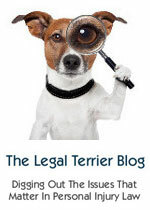 I found myself looking at the Lawyer website – to see if there was any interesting news. I didn’t actually need to know that Scots law firm, Burness, has re-shuffled its management team – but it was quite interesting to see that the main focus of news on The Lawyer was about ‘who is doing what to whom’, ‘who is landing big deals’ etc, rather than any focus on legal practice or even law. I decided to move on to other websites to see if I could find anything mildly surreal. Wenger wants you to do one thing: throw out your old knives. Actually, it wants you to do several things: throw out your bike tools, your toiletries, your laser pointer and so on, because you can find all of these instruments in a huge Swiss Army knife, which includes every tool the company makes. Wenger is calling the contraption ‘Giant Knife Version 1.0.’ It debuted with all 85 features and can perform hundreds of functions. Who doesn’t need a cigar cutter next to a bicycle chain rivet setter next to a golf divot repair tool. It may not appeal to everyone – but I rather liked the idea of ants scurrying around under the glass of a desk… here is a most interesting article on how you can build one for yourself – should you have time to do so over the coming bank holiday! I read the comments on this chap’s blog – apparently ants build their colonies vertically – so it might be a problem! And finally… A U.S. psychologist says we might not be able to tell a book from its cover, but we can decide if a person is attractive in only a tenth of a second. Princeton University psychologist Alex Todorov says people respond intuitively to faces so rapidly our minds may not have time to influence the reaction — and our intuitions about attraction and trust are among those we form the fastest. Having foregone the pleasures of a holiday for some years, I am re-charging my batteries by taking a few half days off over the next three days to ease myself into the final Bank holiday before Christmas. In any event…it has been a complete waste of time trying to do any business this week as everyone has either left the country or is stuck at one of our airports being searched. So… I thought I might do a spot of blawging. So..have I really been to a Japanese restaurant to play with alphabet soup? No… messing around in Photoshop, but should opportunity arise in the future, I may well wish to do so. Hunted long and wide to find some law worth commenting on and did not find anything fascinating. Apart from a story in The Telegraph – A wife who axed to death her cheating husband after a decade of lies and deceit was freed by a judge yesterday. there is not much about. It was a diminished responsibility case. Mr Justice Fulford said jailing her would serve no purpose. Can’t quite see me wearing one these. However… could be just the thing after a night on the Rioja. Is Bush an idiot… or is he just inarticulate? Well judge for yourself with this excellent film. It is quite long but well worth watching if you can view films on the net. Anyway …here is a joke which amused me. “In summertime village cricket is the delight of everyone. Nearly every village has its own cricket field where the young men play and the old men watch. In the village of Lintz in County Durham they have their own ground, where they have played these last 70 years. They tend it well. The wicket area is well rolled and mown. The outfield is kept short . . . [y]et now after these 70 years a judge of the High Court has ordered that they must not play there anymore . . . [h]e has done it at the instance of a newcomer who is no lover of cricket. It may only be a game (and, as Umpire Hair remarked “nobody died”) but an allegation of ball tampering is serious and proof of cheating will be required. It is curious that none of the 26 Sky TV cameras picked up any dodgy ball scuffing. We shall have to wait for the outcome of the grand inquisition to be conducted by the ICC. It was a great game, a good series. Meanwhile, I have a new outfit (pictured) to wear when I umpire the game between The Acton Nomads and The Swan XI to be held this Bank holiday weekend if Pakistan decide not to proceed with the one day series against England.